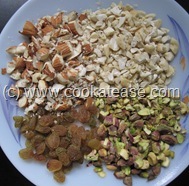 Wish you all “A Happy Christmas and A Prosperous New year”. 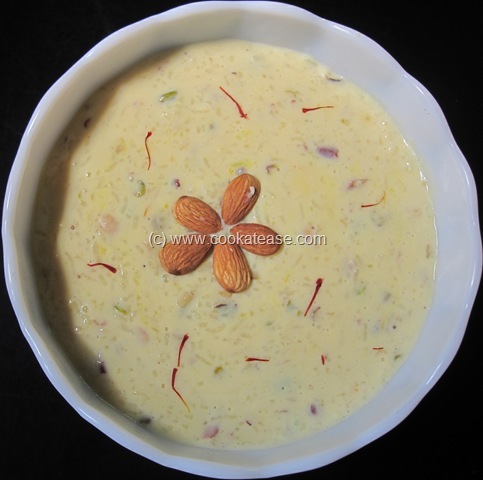 Kheer is a famous north Indian dessert. 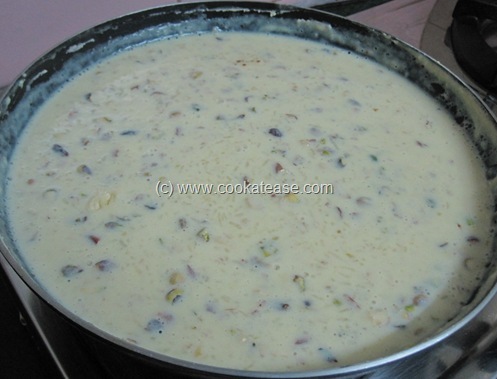 It resembles to south Indian Payasam (in Tamil), if it is little watery. It is a rice pudding that tastes divine with the sweetness of milk. 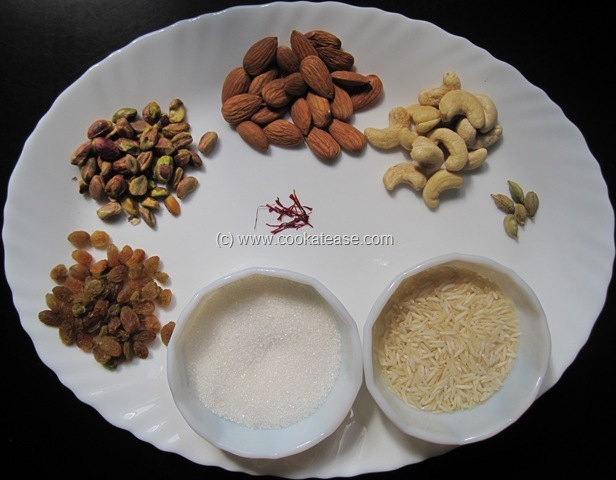 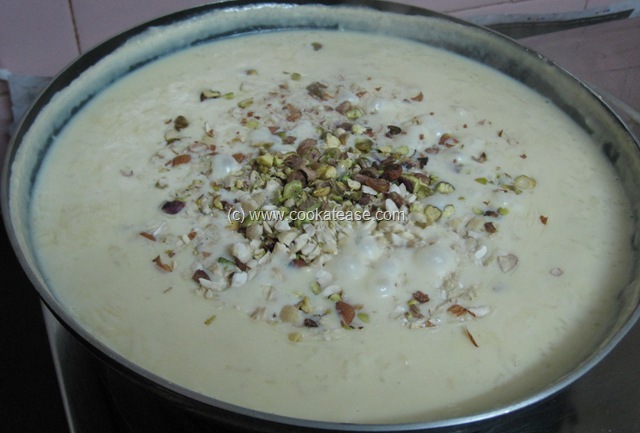 Here I have prepared Kheer by using milk, sugar, rice and nuts (without using ghee). 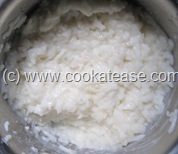 Pressure cook rice nicely with ¾ cup of water plus ¾ cup of milk; mash it well after cooking. Meanwhile boil remaining milk in a thick wide pan; chop almonds, cashew nuts and pistachio; powder the cardamom. 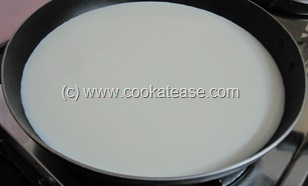 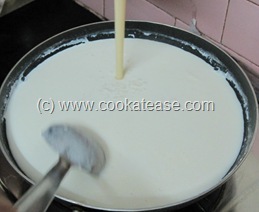 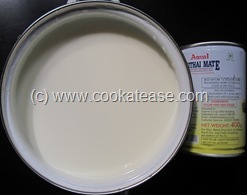 When milk is reduced to half in volume, add condensed milk and cook for few minutes; add sugar and cook for few minutes. 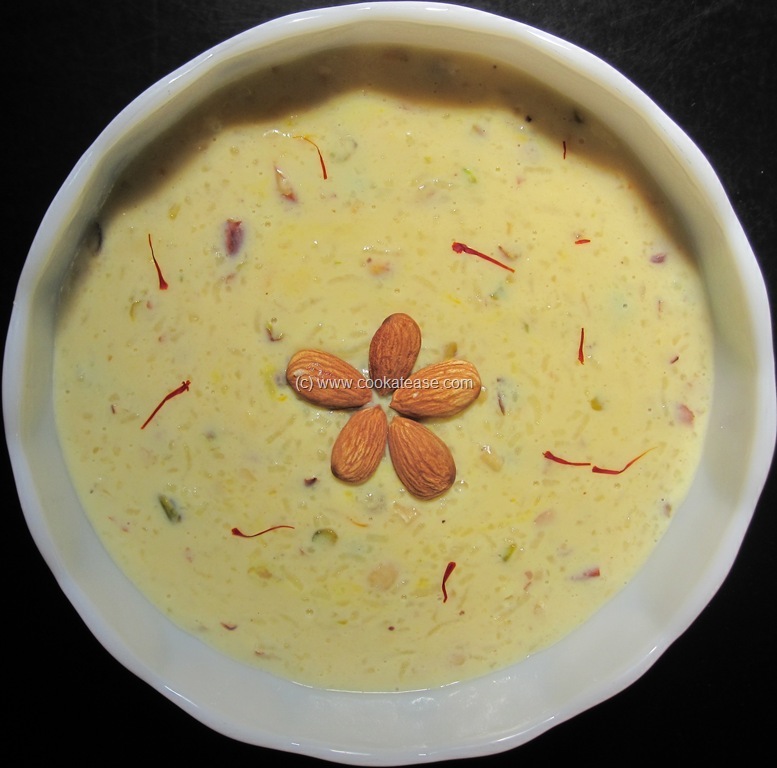 Add mashed rice, saffron strings; stir uniformly till the mix is semi solid (stir cautiously to avoid browning/sticky rice at the bottom of the pan); add chopped nuts, cardamom powder and cook for few more minutes. 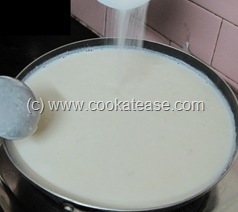 Stir in low flame and remove when kheer is little loose (because after some time this will become thick). 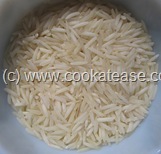 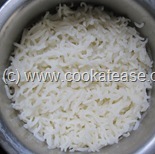 Basmati rice is used to give rich taste and flavour. 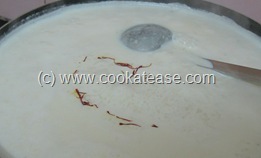 Saffron helps to give golden colour to kheer. Wish you and your family a Merry Christmas and Happy holidays. yummy , looks inviting !